Companies are being urged to Make Their Mark by entering Aycliffe Business Park’s fourth annual awards competition. Make Your Mark will single out the business park’s shining stars and recognise outstanding performances from the last year during a special event at the Xcel Centre, which is now being held on Thursday May 24. The event organisers, Aycliffe Business Park Community (ABPC), have slightly changed the format of Mark Your Mark after listening to feedback from businesses, while changing the date to give firms extra time to enter the awards. 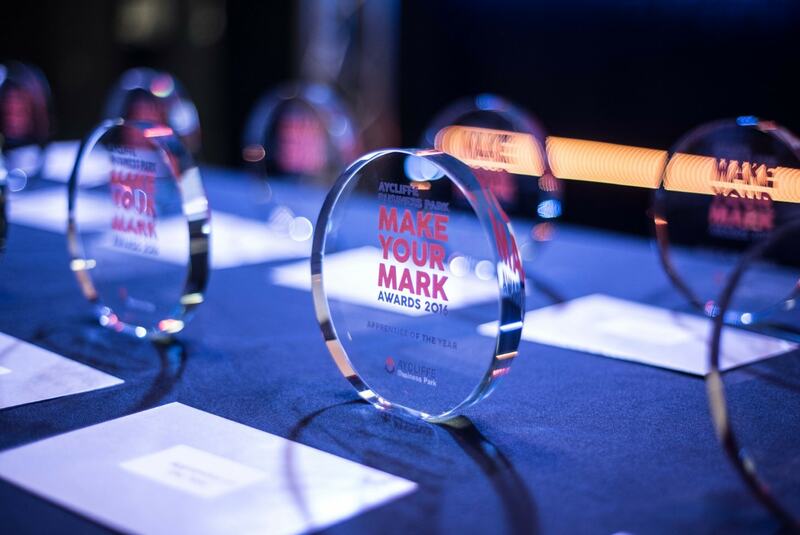 The 11 categories for Make Your Mark remain the same, with awards available for Engineering and Manufacturing, Apprentice of the Year, Apprenticeships & Training, Innovation, Service, Export, Newcomer, Small Business, Employer of the Year, Heart of the Community and Company of the Year. As usual, an independent panel of judges will decide on 11 awards. ABPC chair Kerina Clark said: “We’re again looking forward to the calendar event of the year for Aycliffe Business Park and its residents. “Make Your Mark has brought to the fore some fantastic success stories about many of our companies and we hope to see more of them come forward to enter this year’s competition. “After listening to feedback, we have slightly changed the format of the evening to make it slightly less formal and allow more time for networking and socialising. The Make Your Mark 2016/17 winners included PWS (Company of the Year), Hitachi Rail Europe (Apprenticeships), Arlington Automotive (Employer of the Year), Premo Fabrications (Engineering & Manufacturing), Stiller Warehousing & Distribution (Innovation), Primex Plastics (Export), Beaumont Grounds Maintenance (Small Business of the Year), Trident Manor (Service Business), UTC South Durham (Newcomer), Ben Thubron, Baltic Training (Apprentice of the Year) and DISC (Heart of the Community).